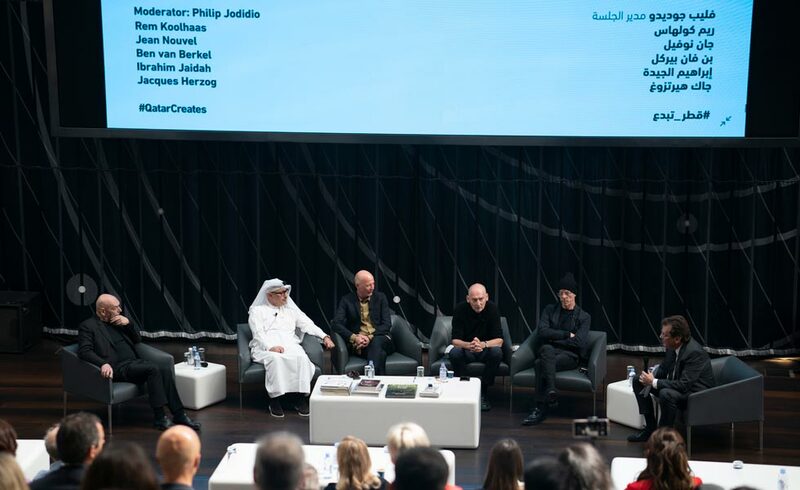 The panel discussion took place on March 27 at the library’s Special Events Area, featuring Rem Koolhaas, the famous designer of QNL; Jean Nouvel, the designer of the National Museum of Qatar and the iconic Doha Tower; Jacques Herzog, a famous Swiss architect and Ben van Berkel, a Dutch architect, founder and principal architect of the architectural practice United Work Studio, and it was moderated by Philip Jodidio. Jaidah explained, “When we speak about identity, we are always speaking about the vernacular aspect. Qatar has evolved just like any other country. HE Sheikha Mayassa started preserving our modern history along with the old ones such as the Amiri Diwan, the Fire Station, the ministries among others. So, our early modern history is a transition that has been well documented,” added Jaidah.